One year ago today, this beautiful baby girl came into the world. She has touched so many peoples’ hearts. I am so honored to be her mother. Today I pray and am grateful for the selflessness of her birth mother. She is perfect. She is healthy and smart and beautiful. And so loved! RJ is the best thing that’s ever happened to us. We thank God that we have the honor of being her parents. Happy birthday beautiful! Bring on year #2 ! Full blog post to come on her fun gold and pink first birthday party. Hi! I found you on instagram and just started reading your blog! 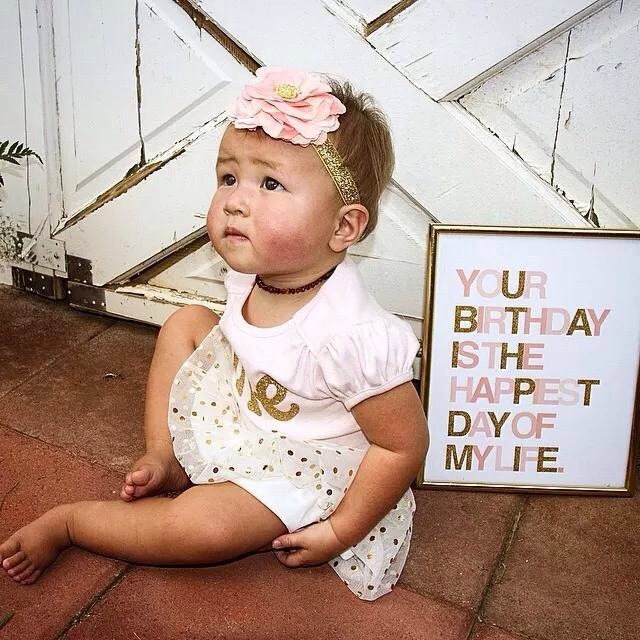 Your little gal ISO adorable and I can’t wait to see more pictures from her party! The picture is absolutely beautiful! Happy birthday precious! Happy birthday, RJ! Hope y’all had a wonderful weekend celebrating! Happy Birthday RJ! Hope you had an amazing day celebrating! Happy Birthday to that little beauty!